Summer for me is about warmth. Long days, blue skies and salty hair. Getting dressed in the morning knowing you won’t need a second layer. Crispy skin from a day in the sun and the feeling of heat, from your heart to your toes. It’s like the tingly warmth you get doing something you love, with people who make you laugh. We shot our Adairs Summer 18 edit before the sunny-season officially kicked-off and in true kiwi style the weather threw us a few curve-balls. But the gale-force winds were no match for our enthusiasm and the fun, vibrant designs of the Adairs Summer collection. 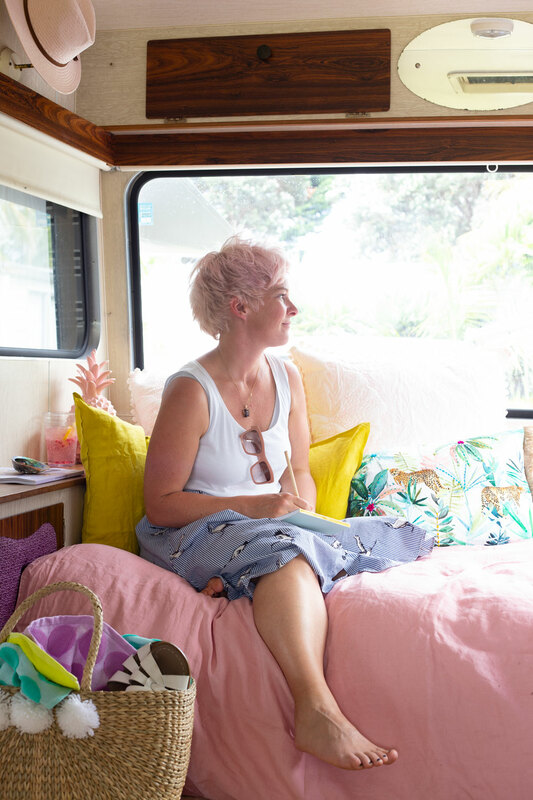 Twenty-four hours, a van-full of summer accessories and a friends caravan to call home. 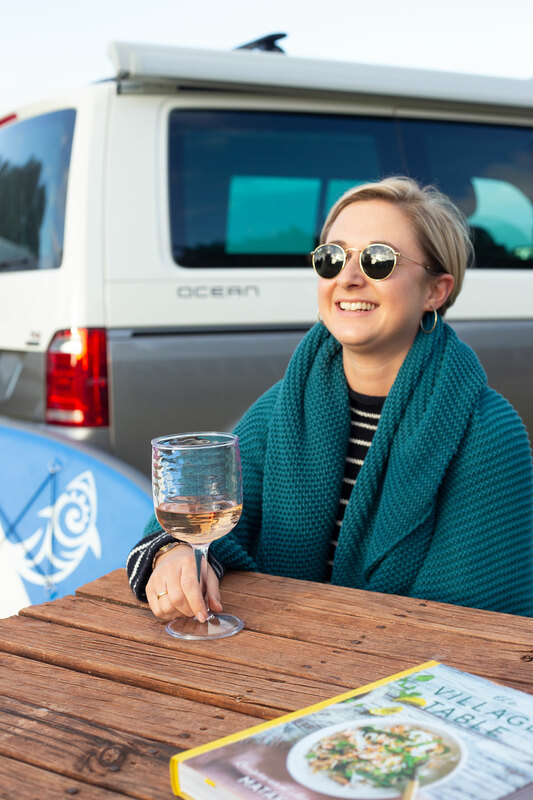 I took the newest member of the Places and Graces team - Shelby George - on her first kiwi ‘glamping’ trip. A hamper is the ultimate adventure accessory. Pack it all in, grab a friend on the other handle and go find that undiscovered spot. Use it as a seat, suitcase, table, at the bach, in a tent, even at home. A hamper is the ultimate multi-tasker and the Adairs McKenzie storage chest ticks our form and function boxes. Quick-dry, sand free, round, velour, turkish - Adairs have a towel for every desire. Shelby went crazy for the sand-free towel, engineered to leave the sand at the beach! My pick is the luxurious velour towel made from the highest-quality combed cotton. 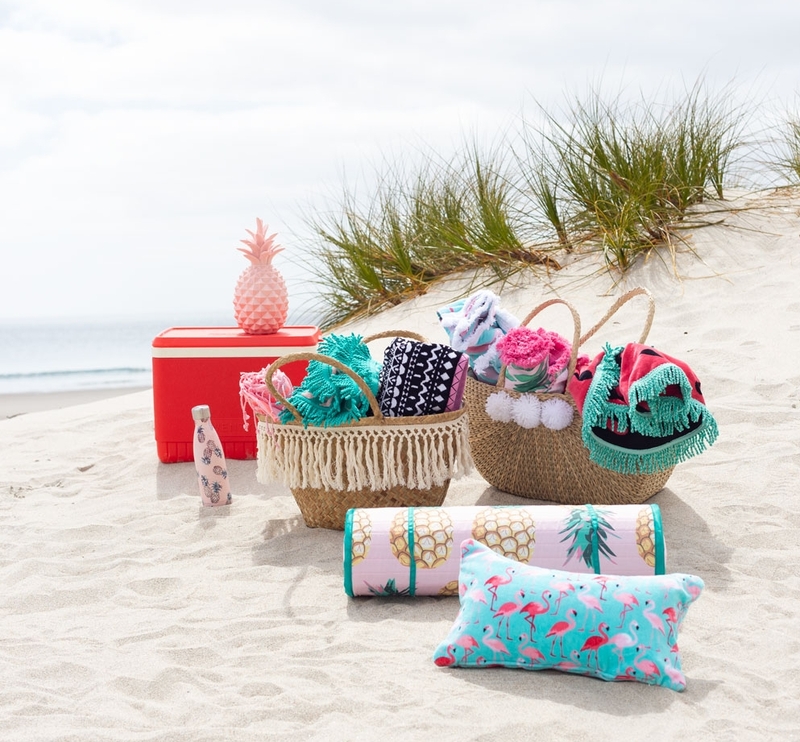 One of the reasons I love Adairs is how well they do colour and pattern - spots, stripes, zigzags, diamonds, pineapples, cactus, fish, palm trees. With so much choice I find mixing and matching within one theme or tone keeps it cohesive. The sun’s gone down, a slight chill settles in the air - that’s when you need your favourite Adairs blanket to wrap around your shoulders. We love accessories that are not only practical but versatile, choose a colour and style that also works as a throw on the bed or couch. A day at the beach, by the lake or even an hour in the garden - any time to relax is better if you’re comfortable. 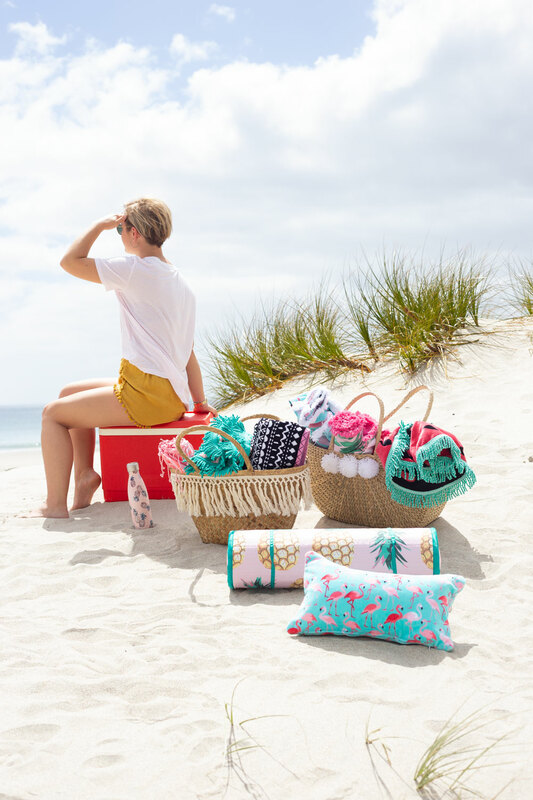 Adairs has everything you need for a summer siesta - matts with a built-in pillow, cylinder pillows, travel-buddy pillows and even a pillow for the pool - the inflatable pillow with a removable cover you can throw in the dryer when it gets wet. Treat yourself to a beach bag full of luxury so you can make the most of those precious chill-out moments. Summer is that sweet spot between the end of one year and beginning of another. It’s a natural time to reflect and plan. I find driving on the open-road kicks my creative brain into action so I snuck a quiet moment when we arrived at the caravan to the get all my crazy ideas from my head on to paper, in my Adairs notebook. Spruce up your alfresco dining and beach picnics this summer with the Adairs range of melamine tableware. The Ripple collection, white with a slight blue fleck, combines the refined look of ceramic with the handy benefits of plastic. I’ve bought a set to use every day! Easy time with friends is about having simple food to hand and occasionally taking the time to create something special. I baked a batch of blueberry and grapefruit muffins that were just the treat we needed after an early start. Preheat the oven to 180-200 degrees (we baked these at 180 degrees in new oven that runs hot). Sift flour into one bowl, add the sugar, stir to combine. Place cupcake liners in your muffin tin and lightly spray with oil. Spoon the batter evenly each cupcake liner, remove any excess blobs so they don’t burn or stick to your pan. Top with a slice of citrus fruit. Bake until just brown, about 18 minutes (if you’re not sure, stick a skewer into the top to check, when baked it will come out clean. Drizzle a little maple syrup over the top of each muffin while warm.